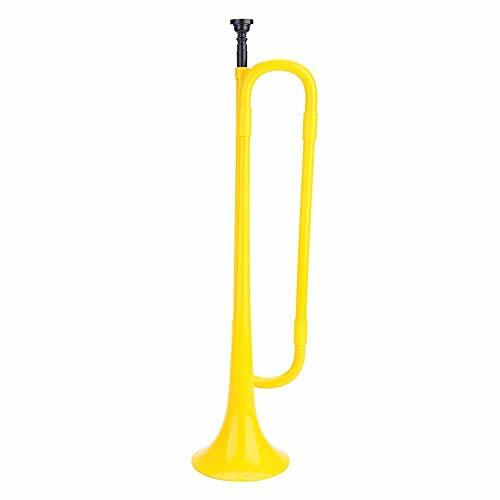 --ECO-FRIENDLY MATERIAL: Made of high quality ABS material, eco-friendly and harmless, durable for daily practice and playing. --EASY TO HOLD: With lightweight feature and appropriate size, easy for child to hold and play, cultivate their interest in music and improve listening abilities. --FINE WORKMANSHIP: Delicate workmanship, beautiful apperance, much funny for your child. --PERFECT GIFT: With good looking and wonderful tone, can reduce their dependency on phone, computer, or other electronics. It is a perfect gift to your kids. ECO-FRIENDLY MATERIAL: Made of high quality ABS material, eco-friendly and harmless, durable for daily practice and playing. EASY TO HOLD: With lightweight feature and appropriate size, easy for child to hold and play, cultivate their interest in music and improve listening abilities. FINE WORKMANSHIP: Delicate workmanship, beautiful apperance, much funny for your child. PERFECT GIFT: With good looking and wonderful tone, can reduce their dependency on phone, computer, or other electronics. It is a perfect gift to your kids.